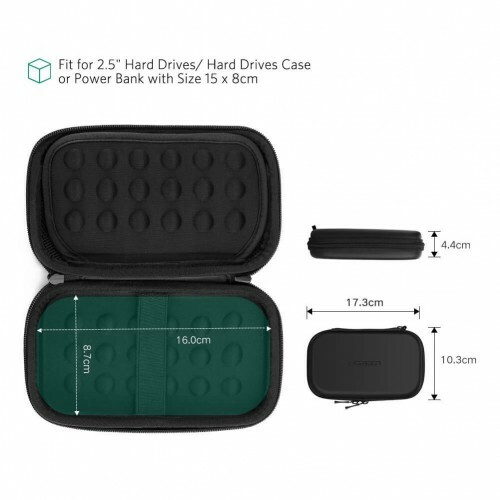 UGreen Hard disk Storage Bag Large Size is organized and protect electronics such as 2.5\” hard drives, usb cables,power bank, earphones and more. Exterior size: 6.81×4.05×1.73 inches(173mm x 103mm x 44mm); Interior size: 6.29×3.42 inches(160mm x 87mm). 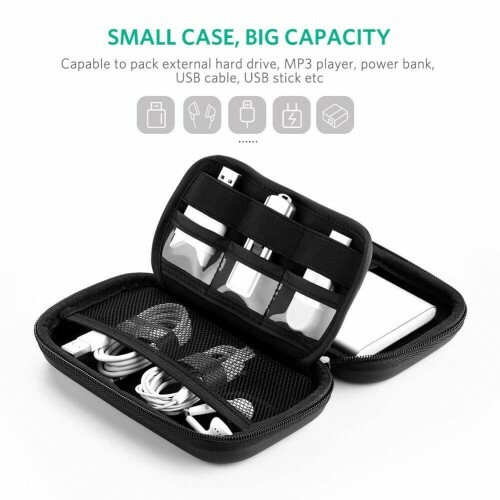 Noted that it only suitable for 2.5\” hard drive and 5.9×3.1inch power bank max. 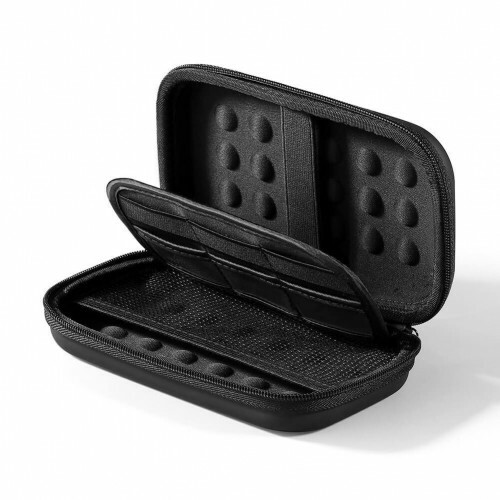 Accessories pocket and holding belt in the travel bag let you put the cables and hard drive in place easily. Compatible with Seagate Backup Plus Slim 1TB, 2TB/ Seagate expansion 1TB/ Western Digital WD My Passport Ultra 1TB (old model)/ 2.5 inch Portable External Hard Drive. 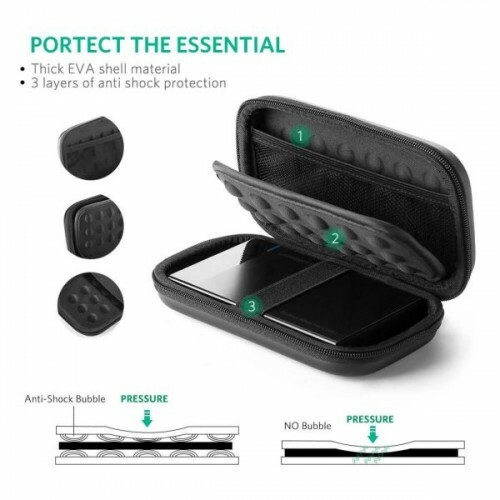 The Hard Disk Carry Case built with thickened EVA foam and premium padding,this anti-shock design protects your hard drives from drops, knocks and scratches.Zipper closure design for easy opening and closing.